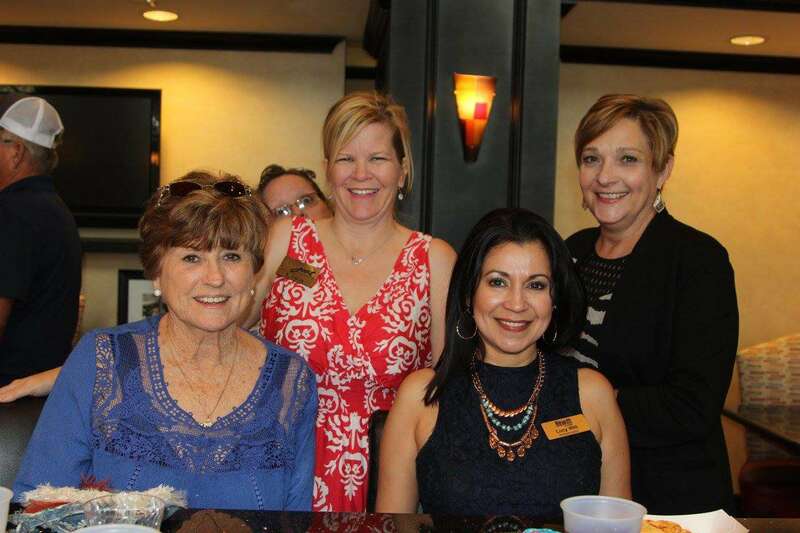 The more events you attend, the more people can get to know who you are and what you do, the more you’ll be top of mind for your fellow chamber members. Building relationships is key as it enables members to send business your way, just as you’ll be better equipped to refer possible customers to members you’ve met. Gain even more visibility by being a sponsor! See event descriptions below for more info on the different formats for regular chamber events. The Greater Hewitt Chamber’s Business After Hours is a popular, well-attended event that offers a chance for attendees to network and enjoy food, fun and fellowship while you receive a unique opportunity to showcase your business and introduce your goods or services and staff to fellow chamber members. The event is casual with no set agenda, and guests are invited to come and go at their convenience. In addition to showcasing your business at the event, hosts also benefit through promotional exposure: your event information will be included in the weekly e-bulletin, on the chamber’s social media pages, on the website and in an exclusive e-blast invite. Event photos are also posted on the chamber’s Facebook page and may be printed in the quarterly Hewitt Express magazine. The cost to host a Business After Hours event is $250 for 2019. An optional printed invitation can also be mailed to all chamber members for an additional $600 (covers cost of design, print & postage). The host is responsible for food, beverages and door prizes. These events books quickly with many reserving months in advance, so please call (254) 666-1200 for availability. Once reserved, the staff will send the sponsor a confirmation letter with the date and address confirmed, and the chamber will begin promoting the event. 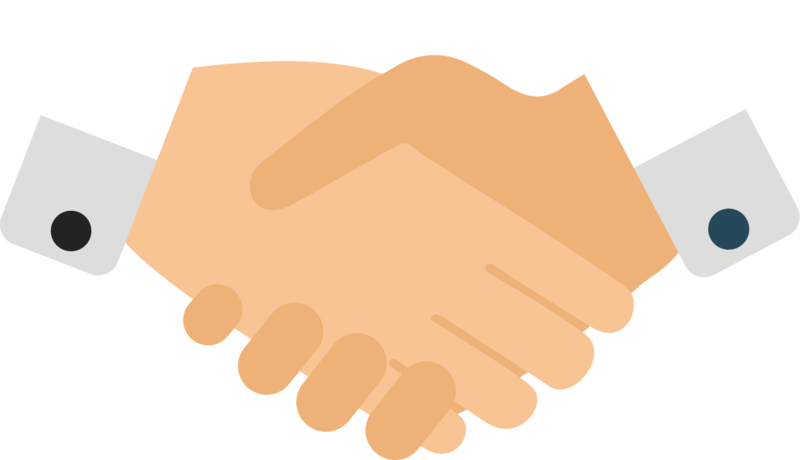 For two business after hours to take place during the same month, both sponsoring members must agree and schedule two weeks apart. Lunch & Learn Programs (sponsorship opportunities for business or organization members listed below) take place monthly on rotating days of the week from 11:30 a.m. to 1:00 p.m. providing opportunities for all members to participate. Dates and venues are set at the beginning of each quarter and will be posted to the chamber calendar and on the Greater Hewitt Chamber Facebook Page. The program begins with announcements, sponsor recognition and an educational program, followed by business members receiving 30-second commercials to showcase their business services. First-time visitors are introduced at the close of the program. Average attendance is 50-60. Brunch & Learn Programs are held in the morning (typically 8 a.m. – 9 a.m. or 8:30 a.m. – 9:30 a.m.), and we typically have at least three programs each year with the venue varying. These programs typically are workshops, so the format includes announcements, sponsor recognition and an educational program with time for mingling/networking at the end. Program event fees for members are typically $12-$25 depending on venue and the meal is free; first-time visitor program event fee is $15 with a complimentary lunch. Resident members are welcome to attend luncheon events at the member rate without the business commercial or sponsorship benefits. Presenting Sponsor – SOLD TO BEACON PAYMENT SOLUTIONS ($1,000, minimum 15 programs/year and limited to one member) will be recognized as “event presented by” at each program, receives two event tickets for each program prominent logo recognition on program recognition board displayed at event, all print and electronic event promotions and up to two minutes of speaking time after announcements (contact staff for availability). Presenting sponsors may place items on the tables. Supporting Sponsors ($57/program, limited to 5 members/event) receive small logo exposure on all print and electronic event promotions, 30 second spotlight and one event ticket. Supporting Program Sponsors may place items on the tables. If all 15 events are sponsored, the member’s logo will be printed on the program recognition board displayed at each event. 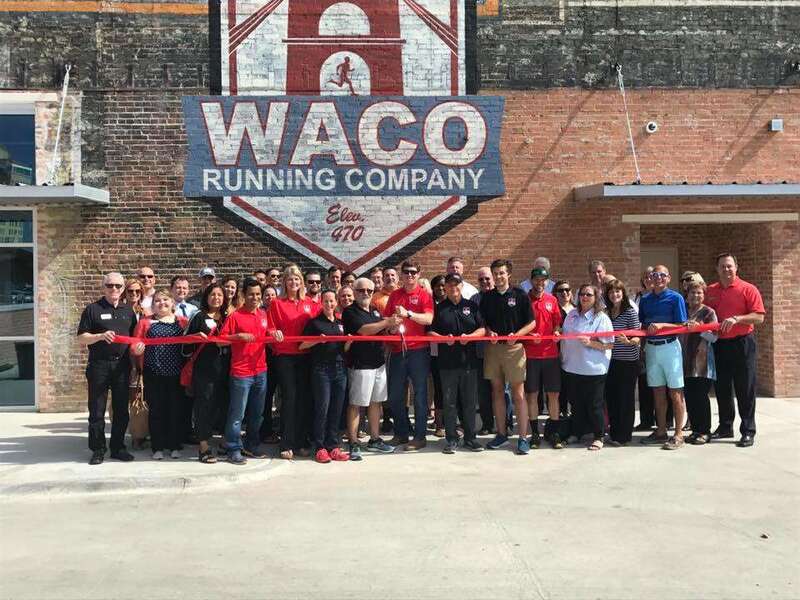 A ribbon cutting is held at a Greater Hewitt Chamber member’s request when a new member business is moving into the area, when an existing member business is opening new locations or operating with new management, or when a member first joins the Chamber or is celebrating a business milestone. The Chamber will promote your event in our e-Bulletin and calendar located at HewittChamber.com/Events, as well as on the Chamber’s social media. In addition, the Chamber will prepare an e-Blast invitation containing your event’s details, which will be sent the week of your event to the membership. The Chamber staff will begin the ceremony by welcoming all attendees, and the representative from the City of Hewitt will present your proclamation/adoption certificate. Following the reading of the certificate, Chamber leadership will welcome the member, after which time we will cut the ribbon! Your designated representative will then speak on behalf of your organization after which you may wish to provide tours of your facility. Your organization may want to provide additional refreshments including bottled water and small snack, such as crackers and cheese, fruit or cookies. The Chamber will provide the ribbon and scissors for the ceremony. Photographs taken at your event will be posted on Facebook.com/GreaterHewittChamber and featured in the quarterly Hewitt Express magazine. Ribbon cutting ceremonies are complimentary and held exclusively for chamber members. Please give chamber staff three weeks’ notice to properly promote and coordinate your event. All ribbon cuttings are subject to different formats as members will have special requests including joint events. The Greater Hewitt Chamber is happy to partner with other chambers but will promote within its own chamber guidelines. Special thanks to Raising Cane’s Hewitt Drive for presenting the Greater Hewitt Chamber’s Hewitt area Ribbon Cutting Ceremonies. 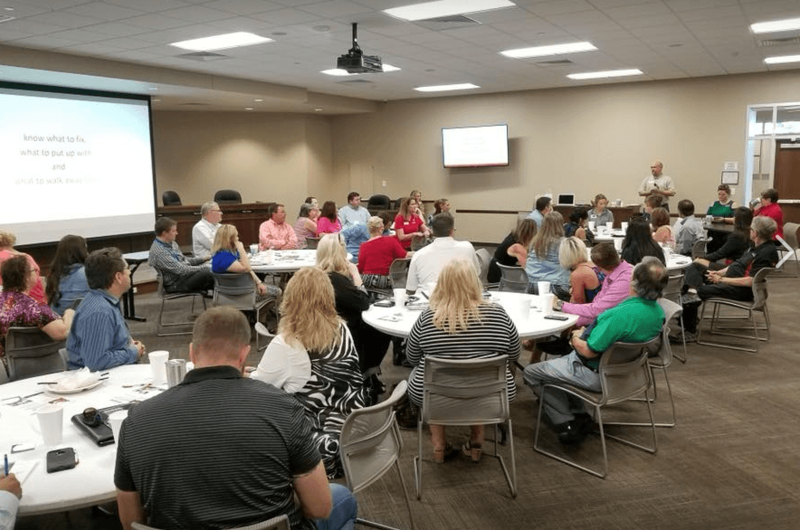 New members (members that have joined in the past 12 months at the time of the event) are invited to visit with the Chamber leadership and staff over coffee. There is no cost for new members to attend this biannual event. 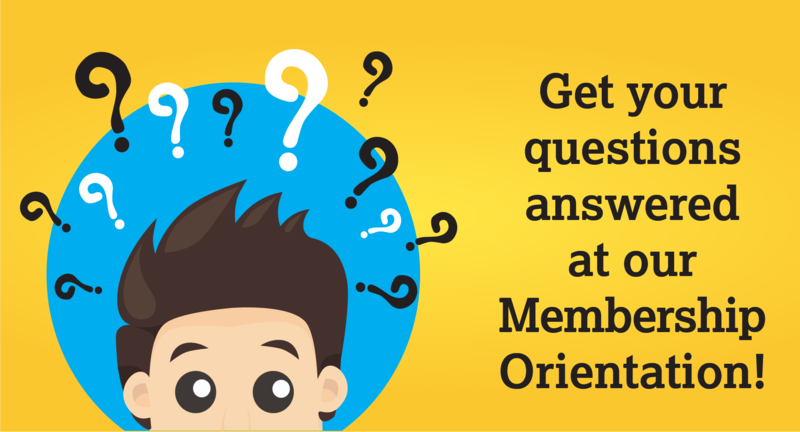 All members are invited to attend our biannual Membership Orientations to hear from our chamber leadership and learn more about how to get the most out of your membership. Light breakfast is provided, and there is no cost to attend this event. Learn more about maximizing your membership at HewittChamber.com/90days.